These are handmade Deneen mugs, so each one will be a little different. This is the “Ramsey” model and holds 14 ounces. The mugs are $41.50 each, shipped to US addresses. If you’re a Missouri resident, sales tax will be automatically included at checkout through PayPal. Please ensure that your address is correct in PayPal as that is how I will be shipping these. US buyers can purchase using the PayPal button below. Buyers outside the US can hit the PayPal button to purchase and then contact me for a shipping quote at burchblades@gmail.com – Typically this ends up being an additional $5-25, depending on shipping method, etc. Shipment overseas at via any method other than tracked Priority or Express is at the buyer’s risk. 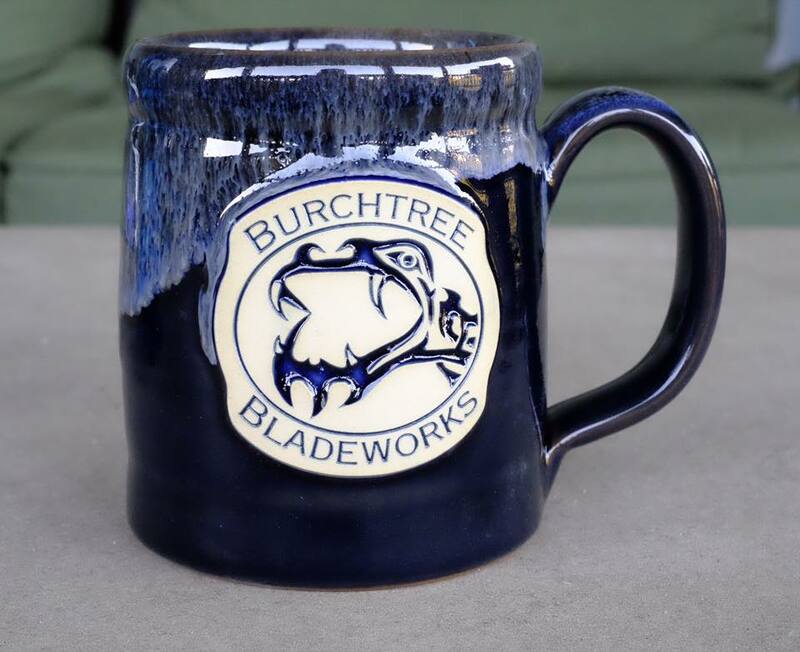 Looking for the latest on Burchtree Bladeworks?